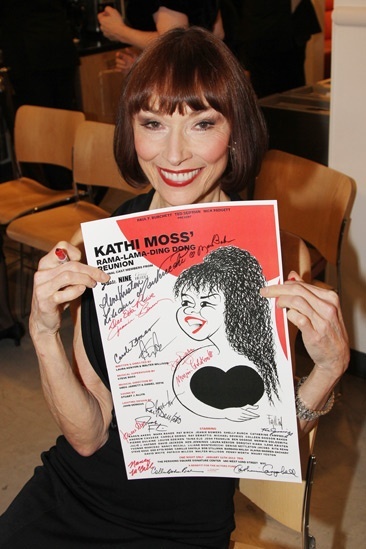 A final shot of Karen Akers, displaying an autographed poster for Kathi’s Moss’ Rama-Lama-Ding Dong Reunion. Thanks to all the performers for a night to remember! Original stars of Nine, Grand Hotel and Grease perform a benefit concert on January 14, 2013.